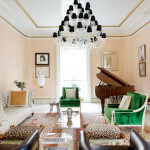 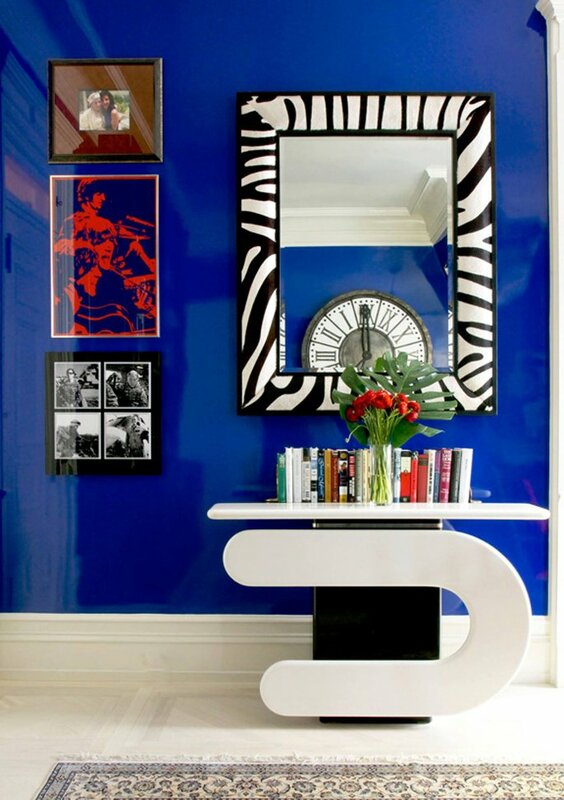 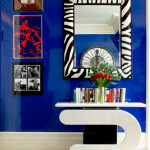 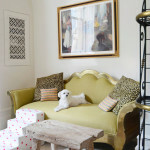 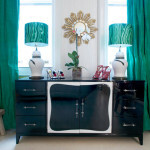 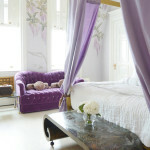 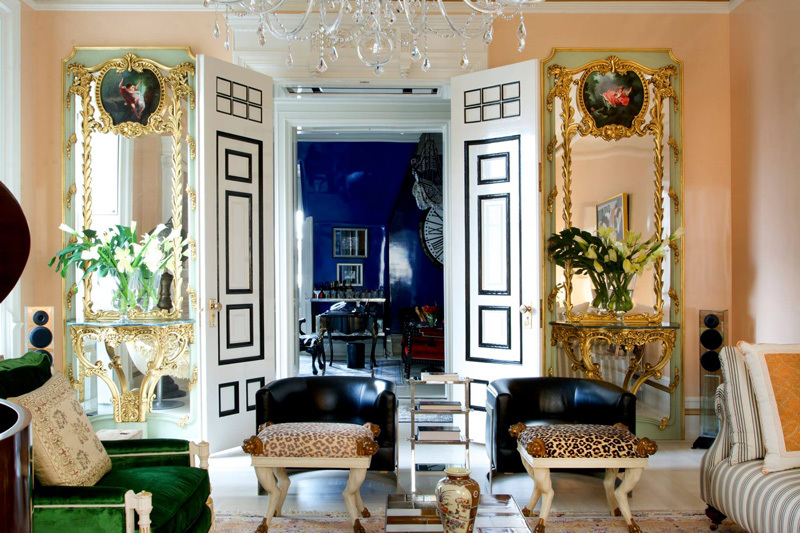 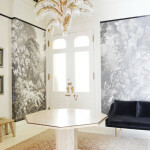 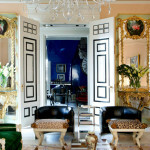 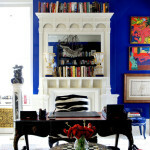 The main living room features everything from bold graphic lines to leopard print and ornate antique mirrors. 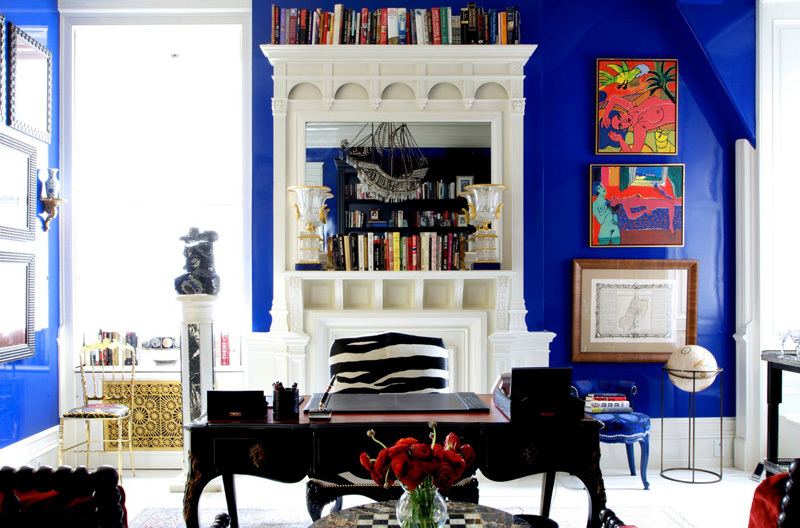 Adjacent is a smaller sitting room where vibrant colors dominate the space and modern pieces of furniture create dynamic shapes and contrast. 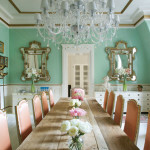 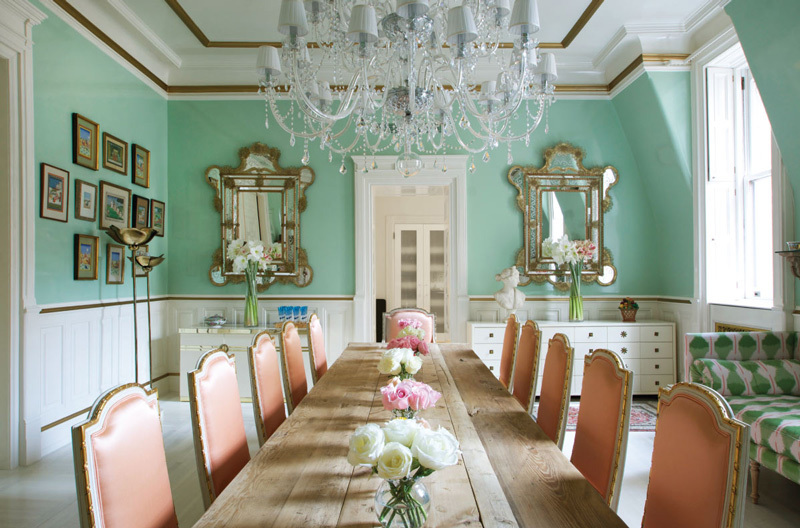 The dining room boasts an refreshing spring-like color palette and the decorative mirrors and crystal chandelier are softened by the raw dining room table. 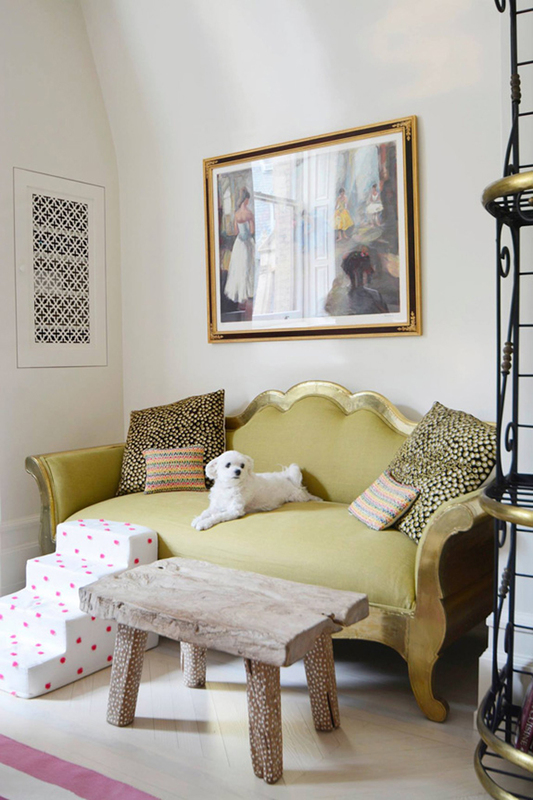 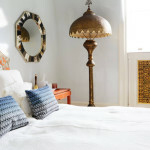 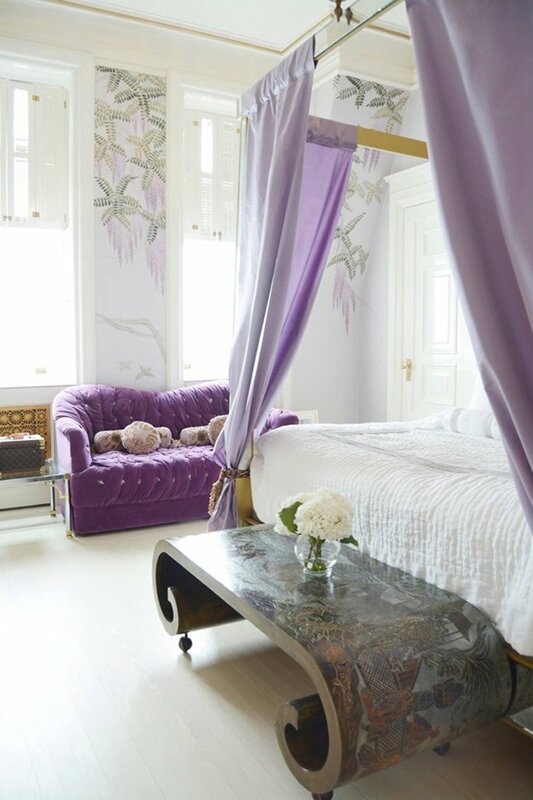 Additional resting nooks are found throughout the home and boast the same eclectic elegance as the other rooms. 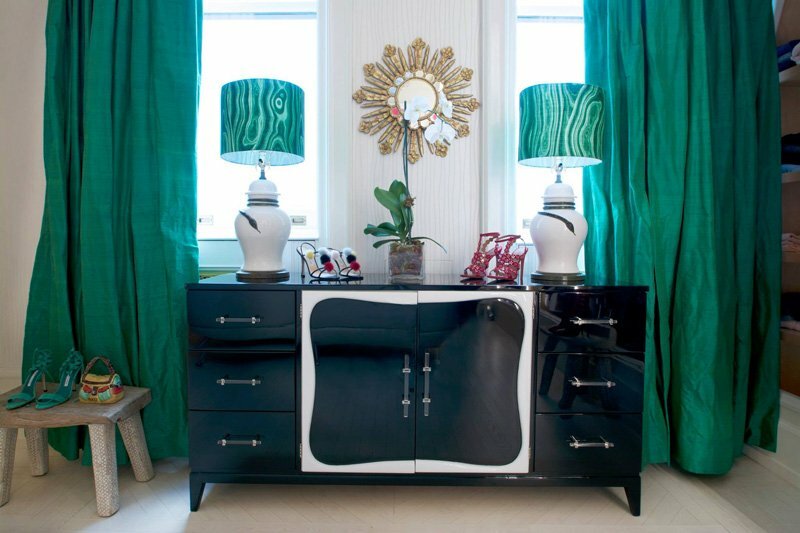 The massive closet, which includes a couch, dresser and a series of decadent kelly green curtains, is lined with internally lit closet walls. 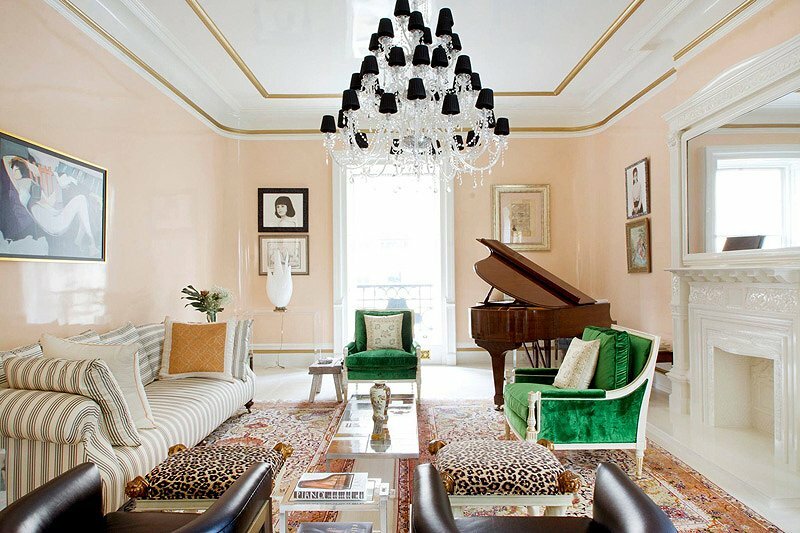 This apartment is filled with beautiful design details that are sure to make anyone swoon. 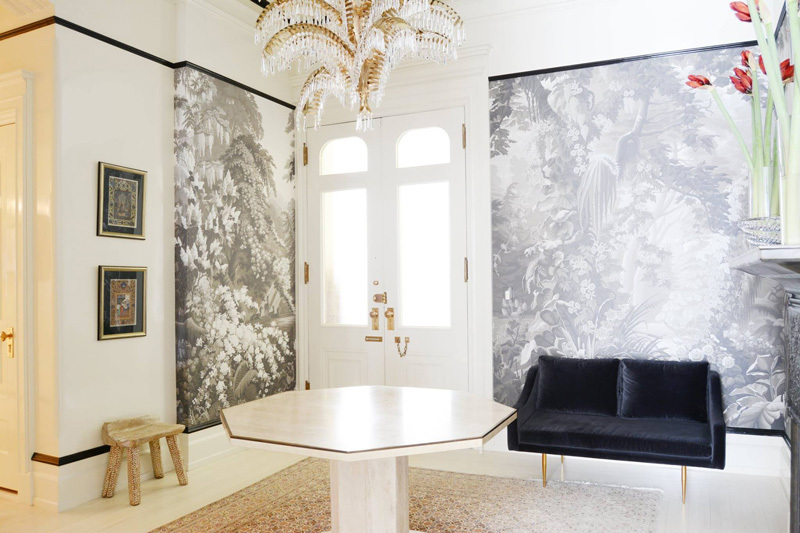 See more work from the talented designer behind this masterpiece here.